The Israeli army said some suspects briefly crossed the fence. 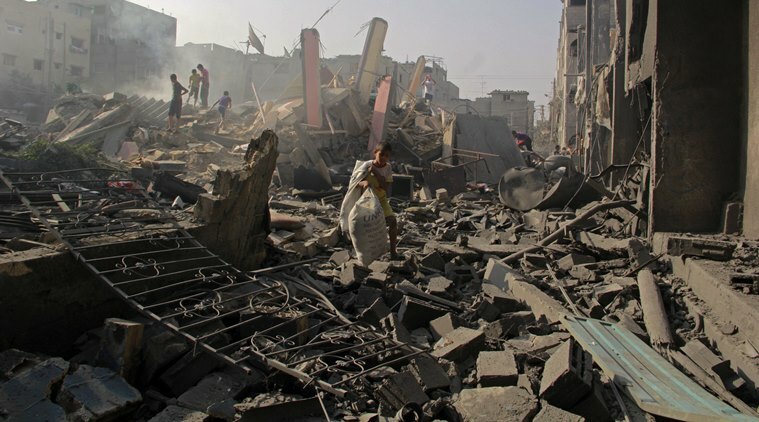 Three of the dead were reported in Khan Younis, in southern Gaza, according to the Gaza Health Ministry. Witnesses said that dozens of protesters approached the fence there. Gaza Strip: Israeli aircraft struck dozens of militant sites across the Gaza Strip early Saturday as militants fired some 30 rockets into Israel, in the heaviest exchange of fire between the bitter enemies in several weeks. The Israeli military said it had struck some 80 sites across Gaza by early Saturday morning, including a security headquarters building. Air raid sirens sounded throughout the night in southern Israel, with militants firing some 30 rockets, the military said. It said about 10 rockets were intercepted by its Iron Dome rocket defense system, two landed prematurely in Gaza and the rest fell in open areas. Israel’s military chief, Lt. Gen. Gadi Eisenkot, convened an emergency meeting of top security officials, the army added, without elaborating. Hamas, an Islamic militant group sworn to Israel’s destruction, had previously scaled down the protests as Egypt stepped up its efforts to secure calm. The blockade has made it increasingly difficult for Hamas to govern. Widespread desperation among Gaza’s 2 million residents who get only a few hours of electricity a day and undrinkable tap water, in addition to suffering from soaring joblessness and limited freedom of travel fuels their participation in the Hamas-orchestrated protests.